“Jump” by Allison Scola is the seventh song in The FIRST Alive with Clive Top 20. “Jump” is one of the thirteen songs on Allison’s CD, A Braver Kind. Allison’s dedication and talent show – her 2004 Song Sampler received rave reviews from CollectedSounds.com and Musesmuse.com and landed her a place in the national Chick Singer Night showcase, the On Stage Italian American Artists showcase, and the Songwriters Hall of Fame New Writers showcase. In addition, her song “Something Better Waiting” reaped a Finalist Position in the 2005 Hank Williams Songwriting Contest, and “Risking a Fall” won her a 3rd Place prize in the 2005 SolarFest Singer-Songwriter Competition. 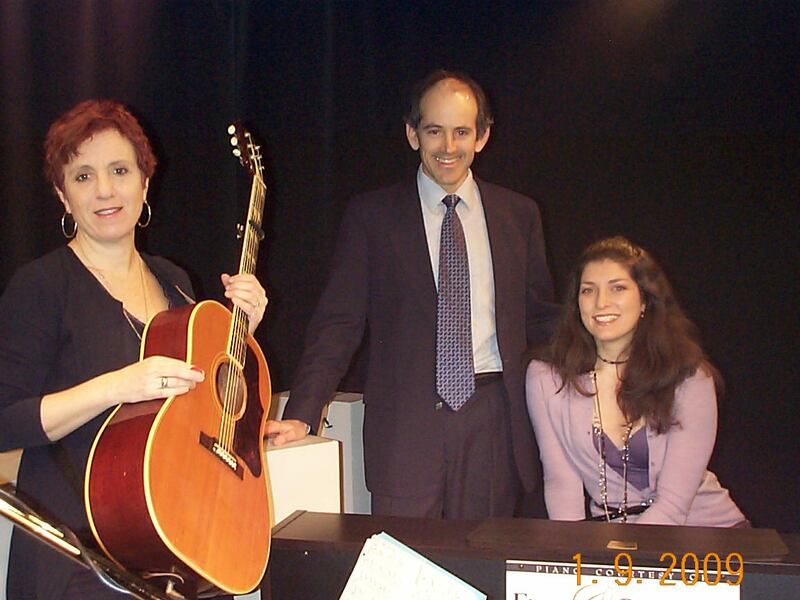 When Allison appeared on Alive with Clive on January 9, 2009, she performed two other songs from A Braver Kind: “Your Key” and “Failure Is Impossible.” To see a video clip on The Alive with Clive TV Channel on YouTube of Allison singing “Your Key” on Alive with Clive, click here. While introducing the song, “Failure Is Impossible,” during her interview on Alive with Clive, Allison, who studied gender issues and feminism in college, said that “Failure Is Impossible” is a phrase she borrowed from Susan B. Anthony, one of her heroes, who devoted her life to a 72-year struggle to secure voting rights for women and equal rights for all. The accomplishments of Susan B. Anthony paved the way in 1920, 14 years after her death, for the passage of the Nineteenth Amendment, which gave women the right to vote. The words, “Failure Is Impossible,” are the last public words of Susan B. Anthony and became the mantra women used to gain the right to vote. To see one of my earlier Blog posts about Allison’s song, “Failure Is Impossible,” click here. You will find additional video clips featuring Allison on one of the pages of her Web site when you click here. The lyrics of “Jump” incorporate themes of courage and bravery, with the metaphor of overcoming the fear of jumping off a rock’s edge into cold water below being interwoven with Allison paying tribute to her grandparents, who left the country of their birth in their late teens to pursue their dream to create a new future in America. I am not afraid to take a jump . . . .
You can find out more about Allison Scola at www.myspace.com/allisonscola as well as at www.allisonscola.com. Allison is currently in seventh place in The Alive with Clive Top 20. To vote for Allison to move up The Alive with Clive Top 20 Chart, click here. To see who else is eligible to be in The Alive with Clive Top 20, click here. This entry was posted in Alive with Clive Top 20 and tagged "Risking a Fall", "Something Better Waiting", A Braver Kind, Africa, AIDS, Alive with Clive, Alive with Clive Top 20, Allison Scola, Allison Scola Project, bravery, Brill Building, CBS News Early Show, Chick Singer Night, Clive Swersky, CollectedSounds.com, Columbus Day Parade, courage, equal rights, Failure Is Impossible, feminism, gender issues, Hank Williams Songwriting Contest, HIV, HIV/AIDS, Inspiration, Italian Day, Janie Barnett, Jon Gordon, Living Room Live! Battle of the Bands Contest, Lorraine Ferro, Mantra, Mediterranean folk culture, Musesmuse.com, music-reviewer.com, New York Mets, Nineteenth Amendment, On Stage Italian American Artists, right to vote, Shea Stadium, SolarFest Singer-Songwriter Competition, Songwriters Hall of Fame New Writers, Songwriters' Hall of Fame, Staten Island, Susan B. Anthony, The FIRST Alive with Clive Top 20, voting rights for women, Yankees Stadium, Your Key. Bookmark the permalink.